With House of Borse’s MetaTrader 4 Mobile Platform clients can control their accounts, trade in the financial markets and use technical indicators for market analysis while on the move. 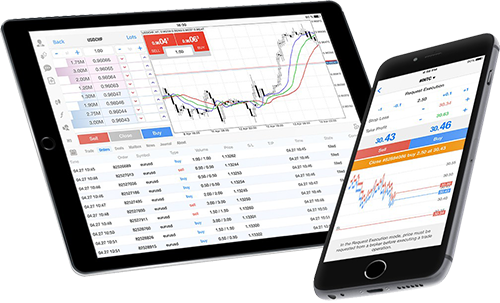 MetaTrader 4 - one of the most popular Forex trading platforms in the world - is now also available for the iPhone, iPad and android operating systems absolutely free of charge. Follow the markets on-the-go with our mobile trading platforms. Monitor your positions and react quickly to market movements 24 hours a day. You can trade forex, indices and commodities all from your smartphone or tablet.